Dropping southward into St. Johnsbury along Interstate 91 at Exit 21 with U.S. 2. Photo taken by Shaun Ganley (03/22/15). I-91 is one of two Interstates (I-87 and A-15 being the other) that directly transition into a Quebec Autoroute. 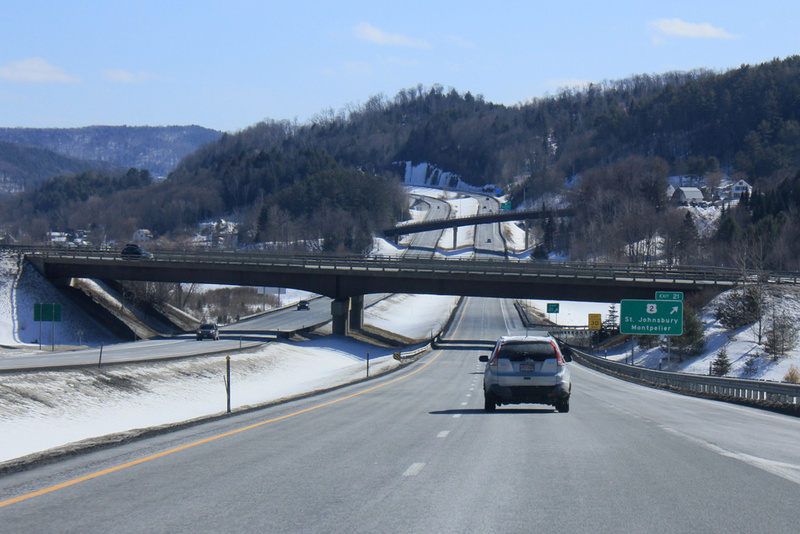 A third seamless connection will be created when Autoroute 35 extends southward to the international border opposite Interstate 89. 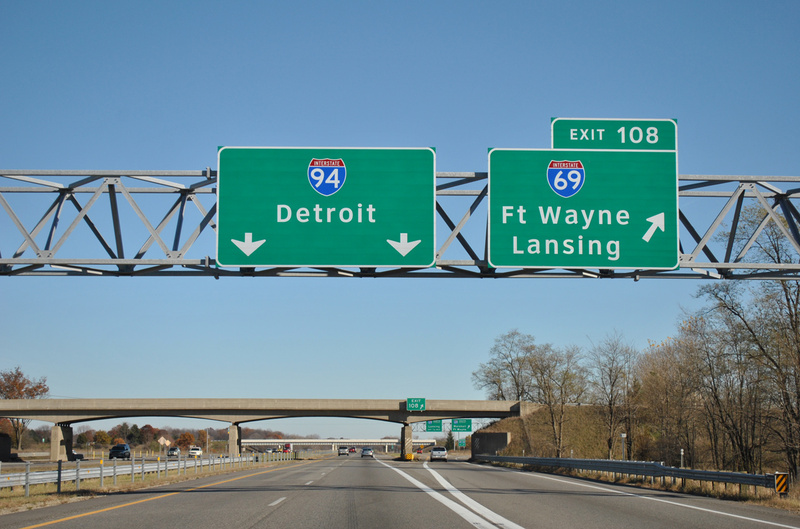 Interstate 94 crosses paths with Interstate 69 on the rural outskirts of Marshall, Michigan. Photo taken 11/05/11. 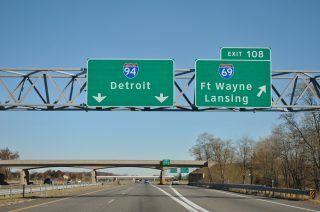 Interstates 69 and 94 come together twice in the state of Michigan. Two two-digit Interstates meeting twice within a single state is a rare occurance. Other examples include the end points of Interstate 12 with I-10 in Louisiana and Interstate 93 both south and north of Boston in Massachusetts.